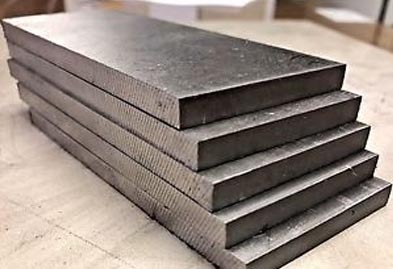 Here at Jaydeep Steels, we are one of the most popular and industry leader Titanium Sheets and Plates manufacturer and supplier which are very commonly used for purposes like aerospace, marine, driveshaft tunnels, driver protection, brake backing plates, medical, heat shields, rocker shaft stands, jewelry, etc. Titanium Alloy Sheets are mostly used as a heat barrier as it doesn’t allow the heat to transfer and has excellent ballistic properties. Titanium Alloy Plates are used to get approximately exact final dimensions of the part being made. By hot rolling the titanium sheets and plates, their microstructure, mechanical properties, tensile strength, and elongation are improved. 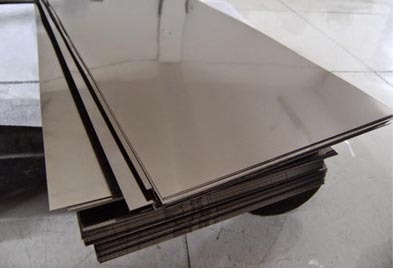 Titanium Hot Rolled Sheets and Plates are used in aerospace and commercial flight industry, pressure vessels, heat exchangers, and hydrometallurgical autoclaves. Titanium Cold Rolled Sheets & Plates are formed by the process called annealing and offers properties like good weld-ability, increase in tensile strength, improved abrasion resistance, and higher strength tolerance. Titanium Galvanized Sheets & Plates offer the advantage of being exceptionally good at resisting corrosion. The process used for galvanizing is hot-dip galvanizing process where a layer of zinc is metallurgically fused to the titanium sheet and plate. Titanium Polished Sheets & Plates are extremely lustrous and offer mirror-like finish. They are especially used in dental implants. Titanium Chequered Plates are especially used for decorative purposes. The chequering of the titanium can be done in various patterns like rice grain, straight long lines, etc. Titanium Perforated Sheets are available in various types of holes like Round, Square, Oblong, Rectangular, etc., and are put to use in chemical processing, desalination, power generation equipment, valve and pump parts, marine hardware, and prosthetic devices. Call us now and request a free quote today! Jaydeep Steels stocks a wide range of materials and grades. Below are a list of all standard titanium sheets and plates materials and grades we stock. Our experienced team of metal experts will get you the metal you need when you need it. Call us today for your Titanium Sheet & Plate Needs!